Findhorn is an eco-village nestled in the north of Scotland, and has been in existence for around 50 years. It is also a spiritual community, but is not aligned with any particular religion or set of beliefs. It welcomes everyone, and people from all over the world visit each year, many in a quest for spiritual healing or development. One of the original founders was Eileen Caddy, who vowed to share guidance she received from God; broadly speaking, this was instructions on how to live a moral, fulfilling life in harmony with nature and in peace. 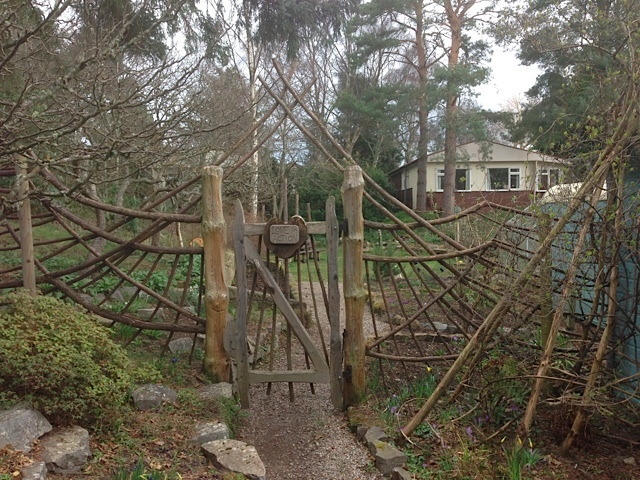 This spiritual connection shines through today, over 50 years since its inception, with many claiming to feel a ‘special energy’ when visiting Findhorn. Today, it’s not just a spiritual community; it’s also an eco-village, where living in peace and harmony goes hand-in-hand with respect for the environment. 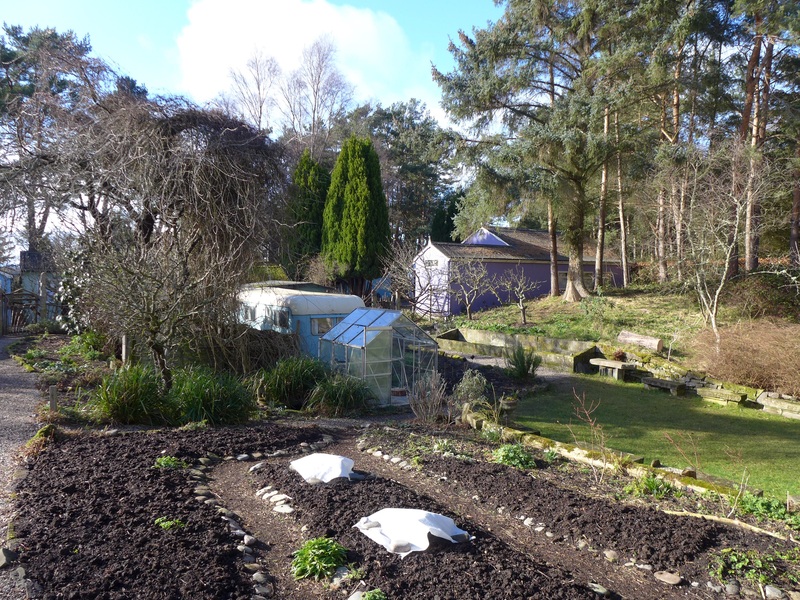 I was lucky enough to spend a month at Findhorn doing their ‘Applied Eco-Village Living’ course. This involved living on site and being immersed in the community. I’m passionate about the plight of the environment, having learned a fair amount about climate change and the severe, often irreparable, damage being caused to our environment through human actions. Therefore, when I came across this course at Findhorn, it seemed ‘right up by alley’! I believe we all have an ethical obligation to do what we can to reduce our carbon footprint/impact on the planet. It may seem futile and we may think, “what difference can I make as just one person”? However, if more of us start making changes, then our collective effort can make a difference, and Findhorn seemed like the next step along this path for me. I was expecting the course at Findhorn to be quite practical, but the spiritual underpinnings of the village were very apparent from day one. The first week was called ‘People Care’; Findhorn believes that humans must learn how to live in harmony with each other first, and that this is the foundation for successful living in a community. I learned that many eco-villages disintegrate because people don’t know how to live together and overcome their differences, so the first week was all about getting to know each other, building trust and learning to communicate effectively. There was a lot of sharing with the group (about 30 people) and a call for open, honest and authentic communication. We also were encouraged to share our feelings and express our emotions because, in the ‘real world’, too often we repress these and Findhorn is a safe space to work through your emotions. Not for the faint-hearted and definitely outside my comfort zone! A big part of this was connecting with environmental concerns, as we really need to feel the gravity of the problems we face to be sufficiently motivated to act. The second week had more practical elements; it was called ‘Economic Sustainability, Right Livelihood & Organic Food Production’. This comprised spending time in one of the village vegetable gardens and we visited Forres, which is a nearby town that is classified as a ‘transition town’, meaning that it’s transitioning into becoming more self-sufficient and sustainable, through growing more produce locally, greater emphasis on recycling etc. We also listened and were inspired by various food producers involved with sustainable, organic food production. We were all allocated to an area to work in once a week for half a day. The options were working in the kitchen, working in one of the many gardens, home-care and maintenance; I worked in the community kitchen. Another aspect of this week was learning about alternative currencies and a method of successful, democratic decision-making called ‘sociocracy’. The next week was titled ‘Human Settlements, Ecological Building & Wilderness Restoration’. Findhorn has windmills to supply its electricity, and a sustainable sewage treatment system. We also listened to various experts on alternative renewable energy systems and learnt what they are and how they work. We also visited several of the houses in the village and learnt about the sustainable materials they are built with and about their sustainable and energy efficient designs. There are houses with straw walls, wooden homes, stone homes and even ones made of out of old whiskey barrels. Many of them are beautiful homes designed to capture the sun; they are well insulated and use less energy, which is great for the environment. We also learned about permaculture, which is an all-encompassing approach to living in a sustainable way, and about growing food. It might seem an unsexy topic, but there’s satisfaction from being able to grow one’s own food. As one of the facilitators points out, in the modern world, we have been somewhat de-skilled. Many people don’t know how to cook, garden or build things. What if the system broke down and we had to fend for ourselves and couldn’t just buy all our goods and services? The secret to health and vitality lies in what we put into our bodies, whether we are consuming processed foods and those smothered with pesticides and herbicides (chemicals). At Findhorn, for the entire duration, we are fed beautiful vegetarian food and as much as possible was grown at Findhorn; we knew where our food came from and could trust the source. We also made a trip to the Caledonian Forest, where we saw wild deer and learnt about an amazing native forest restoration programme that’s going on. There were so many activities on offer at Findhorn. Meditation plays a huge part in the lives of most people living and temporarily staying at the village. It’s a way of connecting with one’s soul, to one’s inner voice or intuition, and thereby finding the answers to the questions we ask ourselves. It’s also purported to bring about spiritual growth and calmness. Try it for yourself! I think Findhorn is a a blueprint for a society where people live peacefully together; they resolve conflict without resorting to violence and live in a mindful way, conscious of their impact on the planet and seeking to minimise it. It may be a cliché, but many people do go there to find themselves and I wouldn’t be surprised if most manage to do so. They are many different courses you can do, or you can work and live there. It’s a nurturing environment, where you take time out from the harshness of the real world and reflect. Or you can simply visit for a couple of hours and get a feel for the place, to see if you feel the ‘energy’. For me, I came away with a renewed and deeper appreciation for nature, having met so many compassionate and beautiful people, and even greater passion and determination to do what I can to ‘save’ the planet. This entry was posted in Social Issues and tagged eco-village, economic sustainability, findhorn, scotland, sustainable living. Bookmark the permalink.